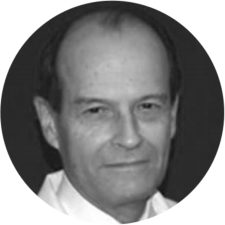 Dr. Marentette has 30 plus years in Medicine and is currently a Professor-Otolaryngology & Neurosurgery and Medical Director of Clinical Innovations Program formally Destination Programs. In the role of Medical Director for the Destination Programs, he was charged with increasing market share, increasing margins and improving the Patient Experience, a goal which he exceeded expectations. In this role Dr. Marentette worked with 19 Clinical Programs to evaluate readiness, provide support and Clinical Leadership. Dr. Marentette was able to work with the clinical programs to identify areas of revenue loss, and coding errors which affected payments and billing. He has demonstrated a proven record of success in identifying specific performance improvement opportunities with medical schools and their faculty practice with the 19 Destination Programs. His leadership of physicians created a cohesive environment that stimulates ideas, created numerous pilots, and improved margins for the programs. Dr. Marentette has a demonstrated ability to use financial information to drive decision-making and results in his current role as Medical Director of the Clinical Innovations programs at the University of Michigan Health System. Dr. Marentette is part of the Expert Advisory team at Gelb Consulting.